The number of options for microphones that are available on the market these days are just endless. You may be in a rut trying to invest in one or even planning on expanding your microphone collection. The good news is that there is no one best microphone for everything. Every microphone has its own character, unique sound and has a specific purpose when capturing certain audio sources. There are even musicians or music producers who record audio samples using common microphones — like an iPhone. See this video, where Ari Staprans, also known as Lauv, records his song’s chorus using a phone. You don’t have to buy every microphone there is. But you have to be smart about your purchases. for any serious vocal recordings. You might shrug at my little warning. But I get inquiries from people who own such microphones, asking if they did something wrong during their recording process. 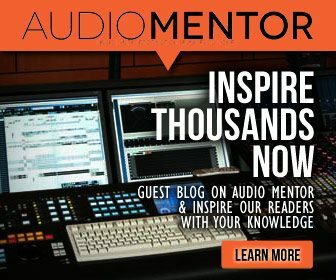 In this post, I’ll explain which vocal microphones you should get if you’re starting out and why. The first thing to keep in mind when choosing a vocal microphone is to think about the genre you’ll be recording. This is important, in finding the correct sound. 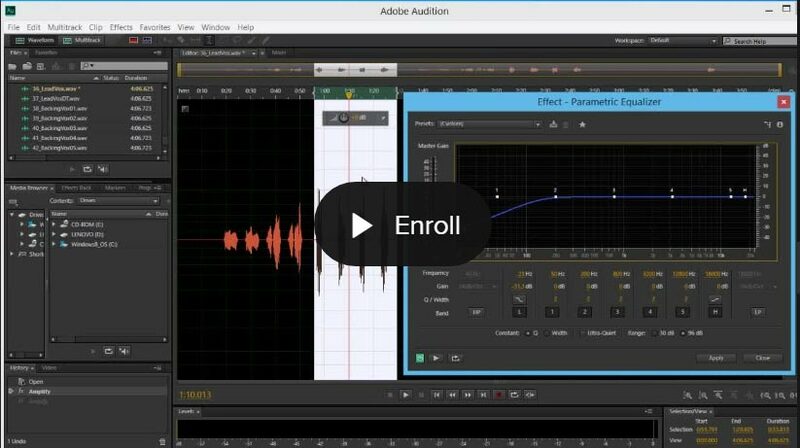 Will you be recording small ensembles, choirs, or mostly just a single vocalists? Then depending on the genre, you may want to achieve a certain recording tone. The male and female voice is completely different and each has their own frequencies. We will look deeper into this later on, but just keep this in mind as you think about buying a vocal microphone. Also, if you only have the budget for one microphone, then I’ll suggest you get a condenser microphone. Condenser microphones are more versatile and can be used for many types of recording — including voice-overs. 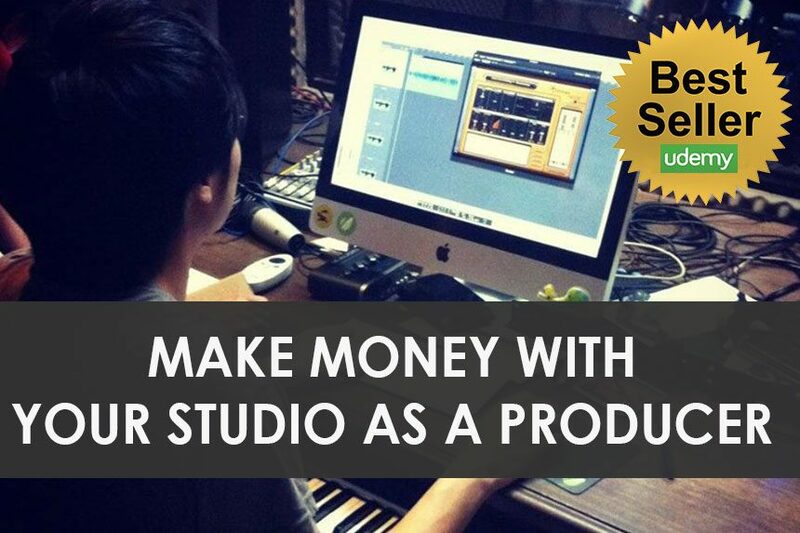 Which can be a good source of income for your studio. But for now, here’s a list 10 best vocal microphones you can buy for your home studio. I’ll explain the pros and cons of each. And from there, I hope you’ll be able to make better purchasing decisions. Remember, always work within your means. Sometimes, you may not even need a new vocal microphone. Good microphones literally last a lifetime. If budget is a concern, finding a used microphone may also be an option. For a price at $499/$399(discounted), the Shure SM7B makes a great microphone for the male vocalist who wants that thick sounding vocal. Normally used for broadcast and podcasting applications, the microphone works well as a vocal microphone for Rock, Pop, Rap/RnB, Heavy Metal, and voiceovers. Because it’s designed as a broadcast microphone, the Shure SM7B has built shielding against electromagnetic hum – usually generated by lights, computer monitors, and A/C. Don’t let its deep sounding tone fool you, the Shure SM7B is, in fact, a dynamic microphone, which would, in its character, pick up less noise from its surrounding. This is because of the microphone’s polar pattern that cancels out any unwanted sound from the back of the microphone and only picks up sound that is in front of it. On a side note, this microphone has a little lower gain compared to many microphones in its class. Keep in mind that you’ll need enough pre-amp gain to really amp the Shure SM7B to its full volume. Excellent build quality. – Throw it at your singer for singing badly and it’ll still work. Not really suitable for most female vocals, if you’re looking for that bright tinge. Requires more gain than most dynamic microphones in its class. Beyond being my personal favorite, the Rode NT1A is also a favorite for most home studio users due to its affordability and versatility. This microphone gets the best reviews from most home studio owners, including our friend, Graham Cochrane of The Recording Revolution. Unlike the Shure SM7B, The Rode NT1-A is a condenser microphone, so its fairly sensitive and records a wide frequency range, giving you that nice warm sound. It is great for both male and female vocals and suits most genres. This is because the frequency response characteristics can meet the range of both a male and female vocalist. So you get a strong deep tone for male vocalists and enough highs for female vocalists. It’s also one of the quietest condenser microphones with extremely low self-noise, you won’t even notice it. Personally, I feel the Rode NT1-A to be one of the best large-diaphragm condenser microphones that a beginner could buy for his studio. It works amazing for vocal recordings, though where it falls short is when you try recording drums or acoustic guitars with it. There are no dB cut switches on the Rode NT1-A which makes it hard to record quick percussive hits. And with acoustic guitars, while the high frequencies shine nicely through, the microphone does pick up a lot of the woody box sound, making acoustic guitar recording sound a little muddy. But again, of course, the sound has to do with proper microphone placement techniques, you could still record nice sounding acoustic guitars! Comes with shock mount and pop filter — all ready to go! The weakness lies in recording instruments with fast SPL and transients — such as drums. Be sure to get the Rode NT1-A package ($229) that comes with the shock mount and a pop filter. That one is the most value for money. The little brother to the C414, the AKG C214 has been around for quite awhile. It shares quite similar tonal qualities to its bigger brother. It is a great condenser microphone that works best for vocal recordings – male or female. You’ll find that it records a smooth and well-balanced vocal recording, that you need not do much EQ-ing. Like the Rode NT1-A, the AKG C214 does not sound like a cheap condenser mic and is, in fact, comparable to expensive microphones. Also highly sensitive, it’ll record the little noises that exist in your studio, your computer hum, the A/C, etc. — so you want to make sure that you are recording in a well isolated and non-echoey room. The AKG C214 comes with a case together with a shock mount and a foam filter, to get you started. Other than the warm and smooth well-balanced sound you get with vocals, the microphone also works well for instrument recordings including guitar amps. A plus of the C214 over the Rode NT1-A is that it has a 20dB attenuator switch and a low-cut filter, which will be useful for recording high SPL sounds such as drums. Great both male and female vocal recording. Comparable sound to expensive microphones. Lack of a polar pattern switch. If you have the budget for it, the AKG C214 ($349) will make a great first condenser microphone. You may have heard of the Aston Microphones, a brand new company, recently on the rise. They produce a selection of affordable & bang for your buck microphones. I’ll introduce the Aston Origin and Spirit — their large condenser microphones. The Aston Origin is a large-diaphragm cardioid condenser microphone that does exactly what it is built to do. What you get is a high-quality sound, great for recording both male and female vocals, string instruments, acting as drum overheads and more. It’s also built with a built-in pop filter, which in our test we found that it works pretty decently. However, for certain vocalists, you may still want to use an external pop filter. The Aston Spirit, different from the Aston Origin, is a multi-pattern condenser microphone, which additionally has switchable polar pattern switches (cardioid, figure-8 and omnidirectional) and a 10dB pad, on top of the low-cut filter. This makes the Spirit immediately more versatile, beyond recording vocals, to recording acoustic guitars, choirs and more. The ability to change polar patterns is a huge plus if you plan to record choirs or small vocal groups. Both the Aston microphones come with a built-in pop filter making it a great microphone to record vocals. If you’re planning to record only single vocalists at one time, the Origin would do, but if you can stretch your budget, get the Spirit. Built-in mesh pop filter. No need to worry for an external pop filter if you travel a lot. A pricier option. Make sure to use a good shock mount. The Aston Origin ($269) works if you’re only recording close-up vocals, if not get the Aston Spirit ($449) to expand your options. 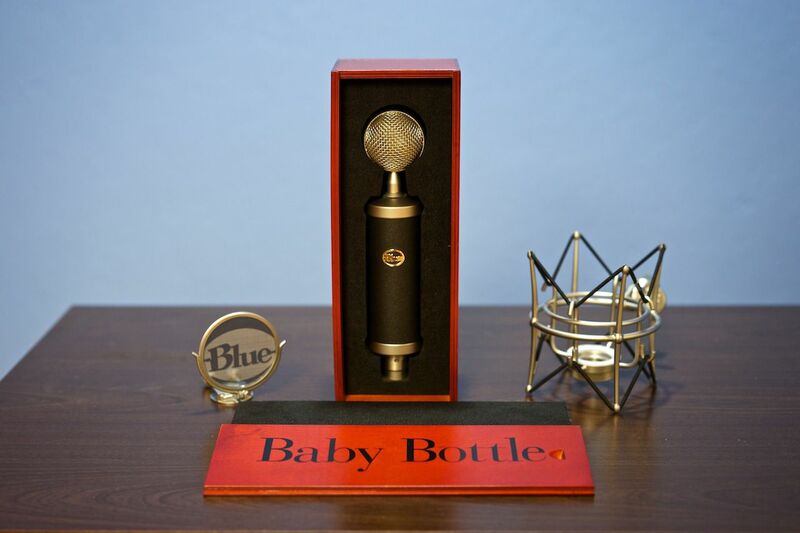 The Blue Baby Bottle is probably one of the most popular Blue microphones, because of its affordability and quality – making it stand out in the Blue Microphones lineup. The microphone is made to be a contender to more expensive and higher-end microphones. The best part? The sound and quality you get from the Blue Baby Bottle actually rival expensive microphones at a fraction of a price! As a cardioid condenser microphone, the Blue Baby Bottle has a neutral sound that works great for any vocalist, male or female. It’s recommended by Blue themselves to run the microphone through a high-quality pre-amp, to get the best of it. Running it through your standard audio interface will work, as long as you have a phantom power, but for the sound to shine, use a dedicated vocal pre-amp, like the Blue Robbie vacuum tube preamp. The Baby Bottle is designed primarily to record vocals and it does not have certain features other microphones in this range have. If smooth and great sounding vocals is your sole-focus, the Blue Baby is a great tool to add to your microphone arsenal. Authentic Blue Microphones premium sound. The included pop filter looks pretty classic & cool. But I’d change it out for a more serious pop filter. 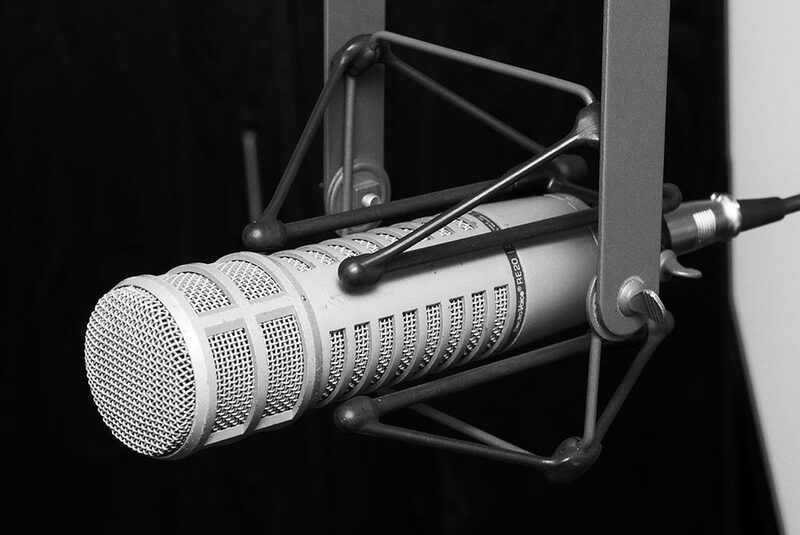 The Electro-Voice RE20 is a dynamic cardioid microphone, more properly known as a broadcaster’s microphone — mostly used at radio stations and podcasts. It has been around for a very long time, has a very distinct tonality that you probably heard a lot and is very recognizable. The sound of this microphone is somewhat closer to the Shure SM7B because it is a dynamic microphone. Much like a dynamic microphone, the Electro-Voice RE20 does well with an immunity to proximity effect. It’s easier to deal with a vocalist who constantly moves or bobs around the microphone, causing different gain or changes in sound frequencies, with most other microphones. This makes the microphone a great choice for Rap and RnB vocals, where you’re recording sound with high SPLs and transients. It also works well for recording instruments like a kick drum. This microphone would be a more specific choice and wouldn’t recommend it, if its your first microphone. But if you’re looking for a diferrent sound and character to add to your microphone toolset, this would be a great microphone you can use to explore. Tough build. Throw it against the wall and it’ll still work. Not as versatile as most condenser microphones. Get this as your 2nd microphone rather. A known broadcaster’s microphone, but the Electro-Voice RE20 ($448) can be used for different studio recording applications too. sE Electronics has a wide range of affordable but yet high-quality microphones. One that deserves a mention here, great for vocals is the sE Electronics sE2200A MKII. This microphone is a bang for your buck microphone and the sound quality is just unimaginable for the price. In fact, the earlier version, the sE2200 has been well received by the pro audio industry for over 10 years, before the MKII came about, with an addition with an additional capsule in the mic and a switch to provide a choice of cardioid, omnidirectional or figure-of-eight polar patterns. Versatile with low noise and high headroom for more dynamic range, you get an award-winning vocal microphone when you get this. Don’t expect a magic sounding microphone, but the sound is amazingly smooth and clear. You’ll hardly find any faults with the sound characteristics of this microphone. It also comes packaged with a nice shock mount, that also fits the pop filter into place snuggly, eliminating any pop filter droops — you usually get that with clip-on or screw-on pop filters. It’s worth taking a look at sE Electronics’ lineup of reflexion filters in their lineup too. I think most of the reflexion filter does the job to a degree and would advise you to just get the cheaper one. No need to spend extra for the top-end reflexion filter — as it wouldn’t make too much of a difference anyway. There may be other alternatives. The sE Electronics sE2200 ($299) is an amazing buy. Another alternative the sE X1, a little pricier with a warmer ‘tube’ sound. Going towards the big boys’ microphones, Lauten Audio has always been known for its high-quality components and superb quality microphones. Lauten Audio is a pricier option to go for but as of recently, they released a lineup of affordable microphones while still maintaining that Lauten Audio quality, called the Black Series. In this lineup of microphones, there is a small condenser, a FET microphone, and a vacuum tube microphone. They all sound great with their own sound characteristics, but one that I’d recommend is the LA-320. The LA-320 is a vacuum tube microphone that will be a dream for any vocalist. Why? Because of its dual-triode vacuum design. The tube warms up the sound of the vocals, giving a very subtle ‘distortion’ that most refer to as the ‘warm tube sound to the recording, making any type of vocal genre, male and female vocals, sound really pleasant. The microphone also has a low cut filter to shelf the lows and also a high cut filter for the opposite. This comes particularly useful when you’re working with vocalists who sound too bright or too deep — you can really experiment with different sound capturing characteristics to fit that vocalist or genre you’re recording. The LA-320 comes packaged in a sturdy flight case with a shock mount and a power supply to power warm up the tube. Yup, this microphone needs a dedicated power supply to run optimally. Think of it as an investment for your studio. As the LA-320 is a vacuum tube microphone, you bet it sounds amazing with guitar amp recordings, double bass and more. Lots of switches used to tackle different recording scenarios — low and high shelf filter. Needs a dedicated power supply (Comes with it). If you been in the pro audio industry for a while, you’ll probably have heard about Neumann microphones and know what superb microphones they are popular vintage microphones are the U87 or the U47. For home studios, I’d recommend taking a look at the more affordable, value for money, TLM 103 – the bigger brother to the Neumann TLM 102. It is a smaller microphone compared to other microphones in the Neumann lineup. There’s also no pad or low-cut switch on the TLM 103. However, the TLM 103 is able to give you that amazing Neumann sound, given that it’s a cardioid condenser microphone that uses the same capsule and transformerless circuitry from the U87 microphone. It sounds killer with vocal recordings and certain acoustic recordings — nice rounded top-end and bass, with a smooth mid presence. Honestly, the TLM 103, beats all the other microphones out of the water, that we have listed so far. Where it falls short? I wouldn’t say price because you’re simply getting what you’re paying for — a Neumann. Not quite a downside, but you need a superior quality pre-amp to get the best out of the TLM 103. You can plug it into a normal USB audio interface and record something that sounds good, no problem. But want the microphone to really show its superiority? You’ll need a good vocal microphone pre-amplifier. One of the best for vocal recordings. You’ll need to start looking at good microphone pre-amps as well, to get the full sound. Trust me. Any recording engineer who records vocals would love to have the Neumann TLM 103 ($1099) in their studio. While the Neumann could be a more classic microphone, if you’re looking for something more modern, I’d suggest the Lewitt LCT 640. An amazingly versatile microphone, with a multi-pattern switch which allows you to switch between different polar patterns. It even has a low cut switch and a pad switch for certain recording situations, whether voice or instrument. You get amazingly up to 5 different polar patterns with this microphone. And quite interestingly, there’s a magnetic pop filter built inside the Lewitt LCT 640, designed for vocal recordings. Generally, it helps reduce pops and hisses when recording vocals in the studio. The microphone features crisps and clear sounding vocal recordings while being able to handle high SPL recordings as well. Thought as a modern microphone, many pop vocals have been recorded using the Lewitt 640. The Lewitt 640 comes with a solid flight case, a well-built shock mount, a foam filter for the microphone (I’d stay away using this as it muffles the recording a little bit) and a pouch to store the microphone. Brilliantly built with high-quality components that offer awesome audio quality, without breaking your savings. Has 5 switchable polar patterns. Extremely versatile. Value for money. Usable in many recording situations. Lacks a little of the ‘warm’ tube sound that classic microphones like the Neumann U47 gives. Have heart for another legendary microphone? Can you hear the sound superiority of the Manley reference condenser microphone in the above video? To us, it felt like the Manley Reference had extra warm and low bottom end that makes it sounds thicker and fuller compared to the other microphones compared. The Manley Reference is a dream microphone that is built with amazingly high-grade components. It’s a tube microphone which comes with an independent power supply to power up the tube. 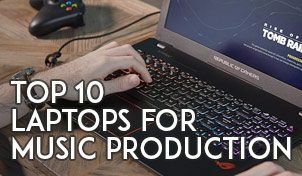 You’ll also find a 10db pad to tame any loud recording sources. Note that you don’t need to drive phantom power to the microphone anymore as the power supply does that for you. While it’ll sound amazing with vocals, the Manley also has a high max SPL of 150 dB, uniquely making it great for loud instrument recordings too. It goes without saying that the Manley is amazingly sensitive, so you’ll need a pop filter with it for any usable vocals. Let me get this straight. The Manley is a GREAT microphone. If you have the budget and stomach for it, get it! However, for the rest, I recommend having a few selection of microphones compared to having one ultimate microphone in your studio. You’re always better off with a few microphones to select from, than having only one. Besides, is that subtle difference worth the extra two grands you’ll be paying for? Maybe not for now, so be wise about your purchase. One of the best in the world for vocal recording. Expensive. Probably not worth that subtle difference if you’re an independent music producer. When it comes to gear, remember what you want to achieve and always do it within your means. Having lots of gear is great but don’t fall into GAS (Gear Aquisition Syndrome). There are lots of microphone choices to choose from. But what do you think will make the best microphone for the home studio? Did I miss any interesting ones here? Let me know in the comment section below.